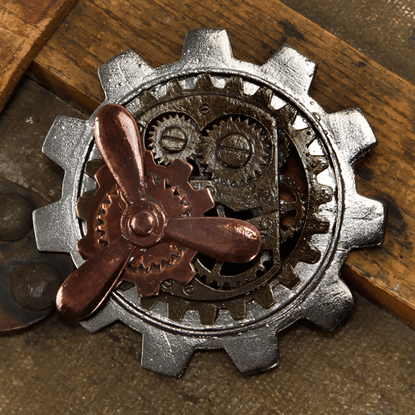 Molding technology and nature into one, this Antique Dragonfly Gear Pin is a great accessory that looks like an impressive Steampunk invention consisting of machined dragonfly wings attached to a series of gears and mechanisms. Earning your wings on an airship is a grand occasion. 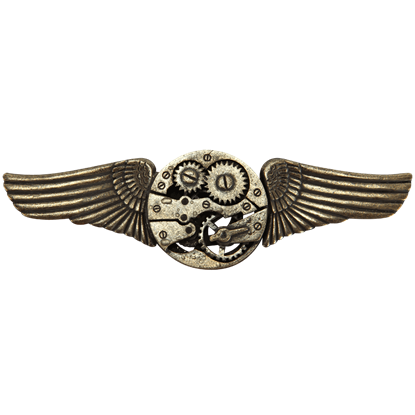 Commemorate your accomplishment by wearing this Antique Gear Wings Pin on your lapel. 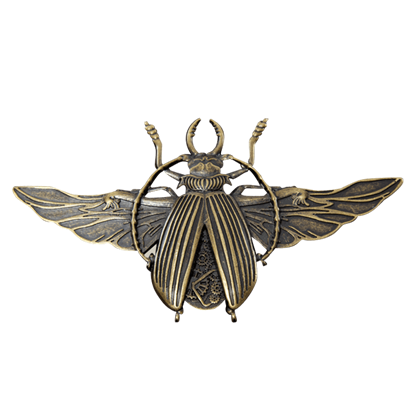 This decorative brooch is an excellent addition to any Steampunk or Neo-Victorian outfit. The Large Antique Propeller Pin is an absolutely breath-taking accessory. Its large size only enhances its appearance, allowing more impressive decorations to be placed onto the pin while maintaining an extremely high level of detail. Rarely is it the size of an accessory that matters. 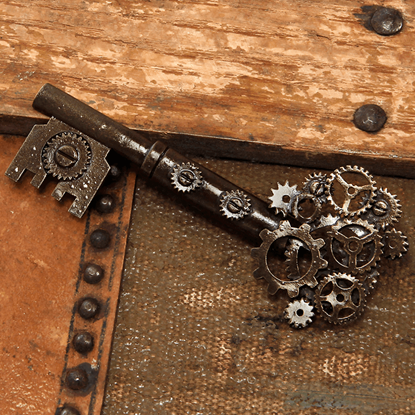 What is truly important is the level of detail, and luckily enough, the Large Antique Key Gear Pin is an impressively detailed piece that is as eye-catching as it is unique. This steampunk accessory brings intrigue to the table. 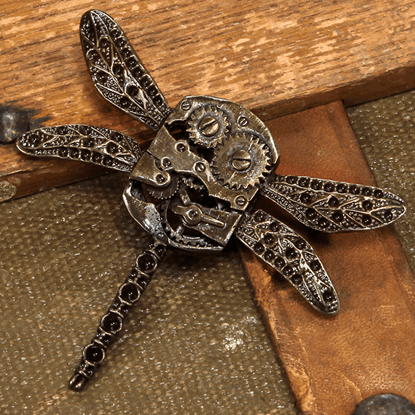 Insects, particularly clockwork ones, are nothing new to the genre, although rarely is something as impressive as this Mechanique Beetle Brooch seen, thanks to its exotic look. Combining all the style of the Victorian era with the unique fashion of science fiction, this brooch makes an eye-catching accessory. 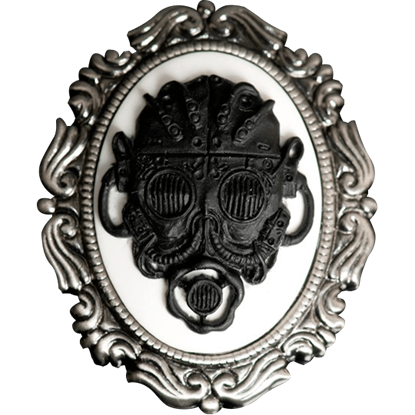 The Steampunk Gas Mask Cameo Brooch displays a black gas mask against a white background.